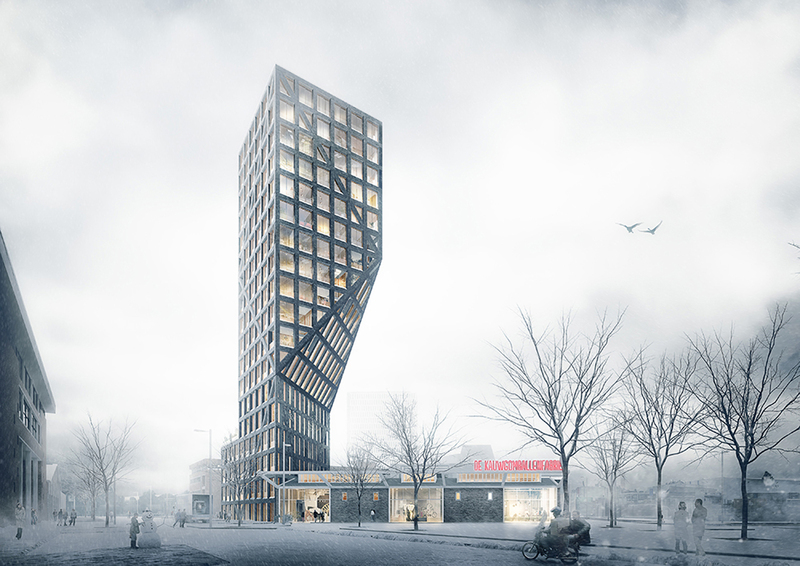 This project presents Black Swan, the result of the research into Overamstel’s gradual transition from an industrial area to a characteristic, mixed-use district in Amsterdam. 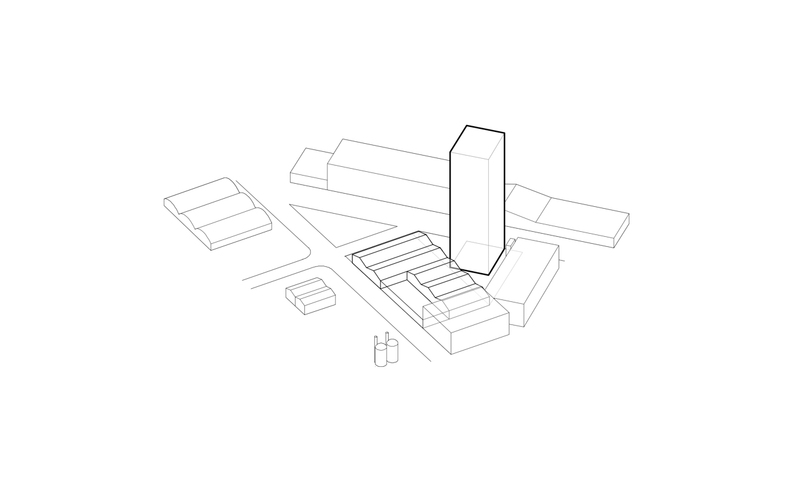 All over the Netherlands, mono-functional industrial sites are designated as potential densification areas. 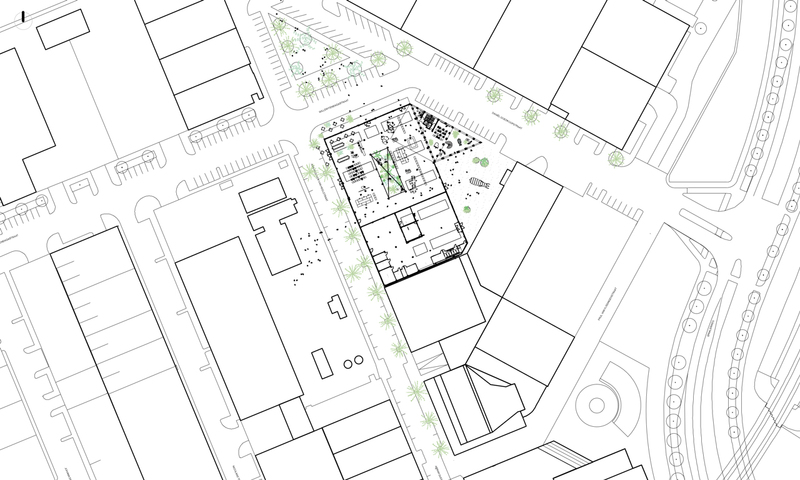 Their often generous layout allows for specific interventions to generate the aimed urban density. 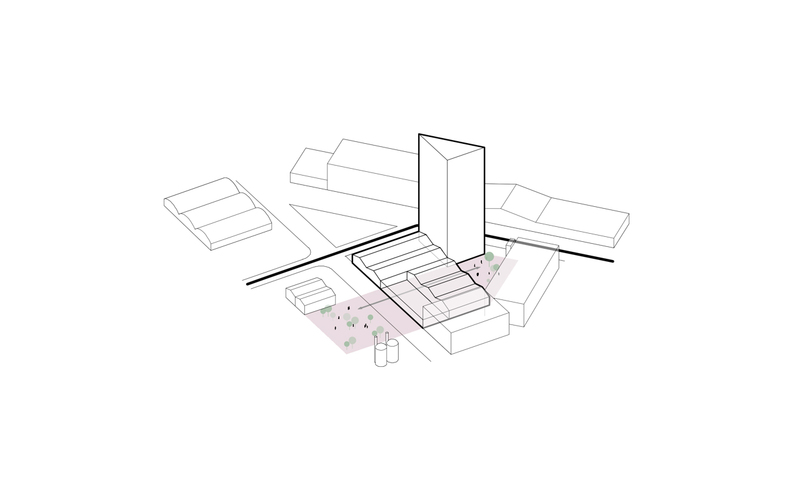 With Black Swan we propose a design as well as a strategy for welcoming, bit by bit, housing and facilities to a permanently active work area. 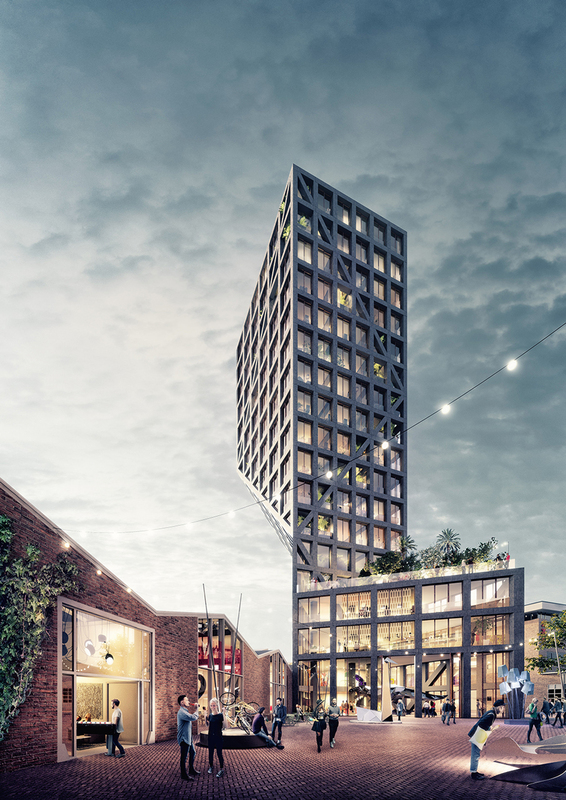 Black Swan’s medium-rise tower is home to both workspaces and apartments; its base functions to facilitate creative offices, restaurant, bar and culture. 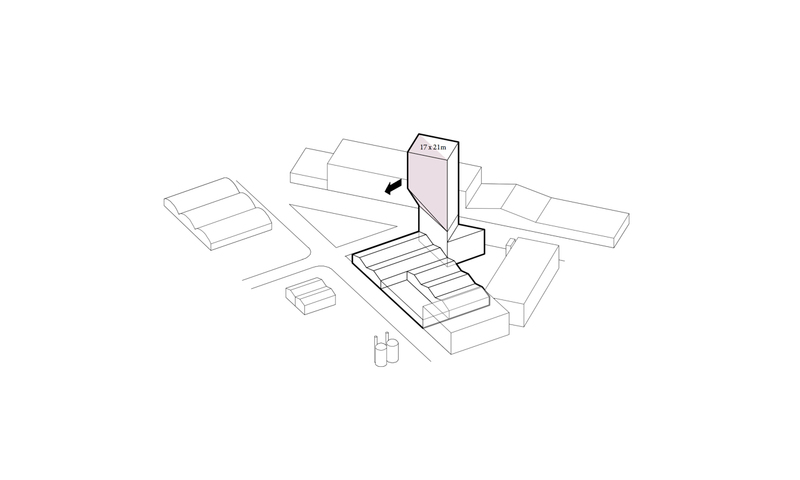 At street level, Black Swan interacts with the existing Building B of the adjoining Kauwgomballenfabriek socially and energetically. 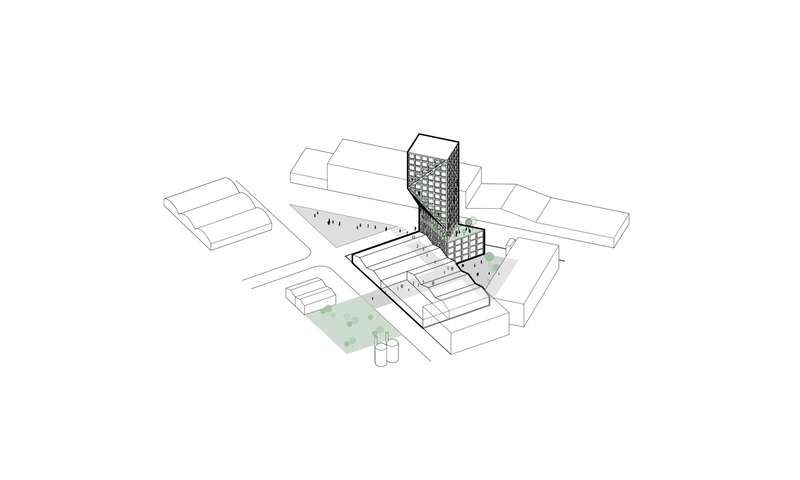 Here, the pioneering residents and users collectively take care of the spaces within and around Black Swan. 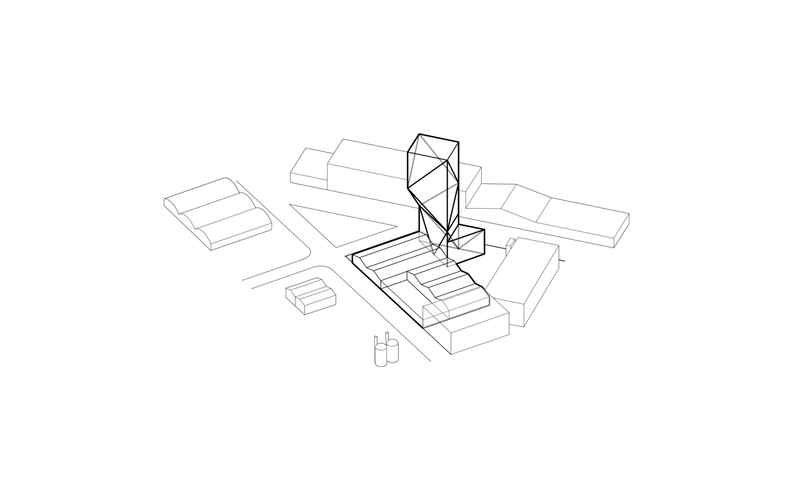 Black Swan and Building B of the Kauwgomballenfabriek are linked, moreover: the bold, industrial character of the warehouse is transferred to the plinth of the new building. Here, a varied program offers liveliness during the day and in the evening and creates a gradual transition from public to private realms. Black Swan’s double-height plinth is transparent to facilitate extraverted functions. 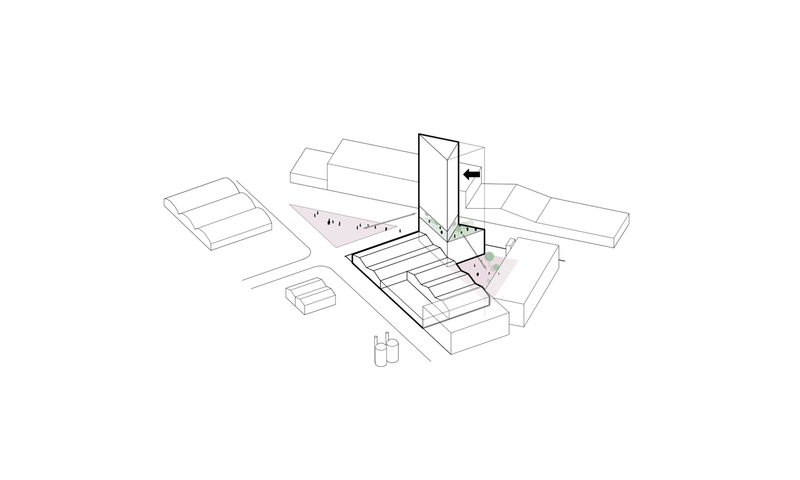 Its roof functions as a collective garden, at a height that holds the opportunity for interaction with people on the streets. 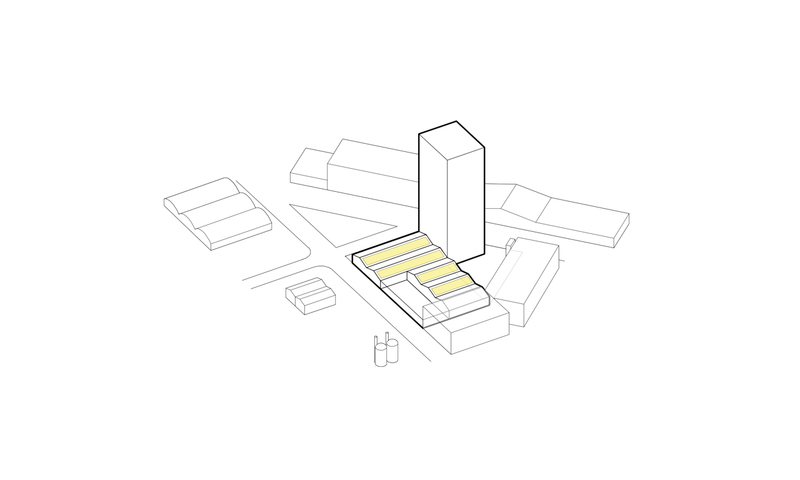 The floors above allow for versatile and flexible use; for apartments or for workspaces. Arup, based on diagonals, designed the grid construction. 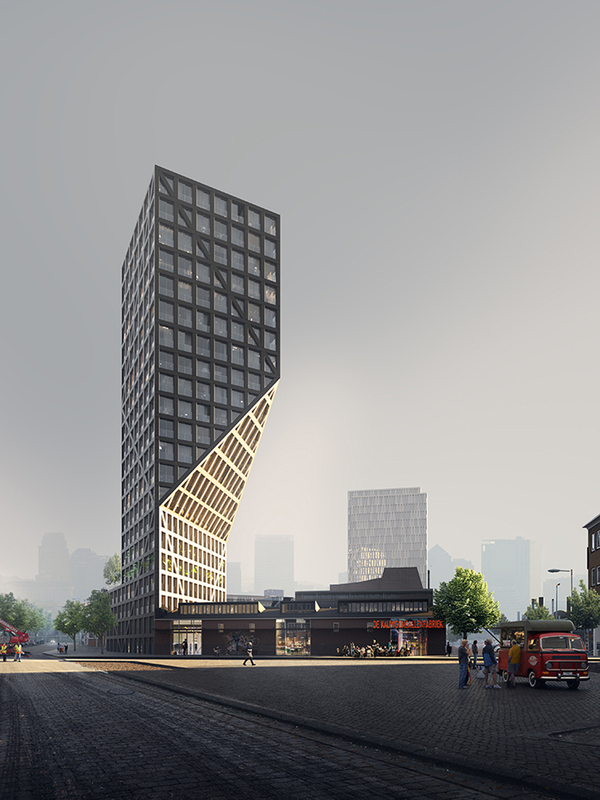 The iconic exo-skeleton is made of metal, the facade of roughly finished black concrete.